What were you doing before SafeBoda? SB01: I joined the Boda industry in 2007 as a motorcycle mechanic. I also used to monitor my father’s Bodaboda business; he used to give out motorcycles on lease, and I was in charge of collecting the payment. I later opened up my own motorcycle spare parts shop. But, in 2013, the business collapsed and that’s how I ended up as a Bodaboda rider with my very first stage at Acacia mall. How did you end up with SafeBoda? SB01: Early 2014, I ran into a former client of mine for whom I used to repair motorcycles, who also happened to be the co-founder SafeBoda, Ricky Thomson. He told me about his idea, and I liked it because he told me that it would improve the image of the Bodaboda industry. He told me that we were going to be provided with two helmets and reflector jackets, and then we would build a community of like-minded riders, gain people’s trust, and make it a premium service. Having dropped out of school, I wanted to associate with a brand that would make me proud among my former colleagues hence I decided to work with safeboda. SB01: It has been as exciting as it has been challenging. I joined safeBoda in 2014 as the onboarding officer and was charged with interviewing, training and recruiting riders. 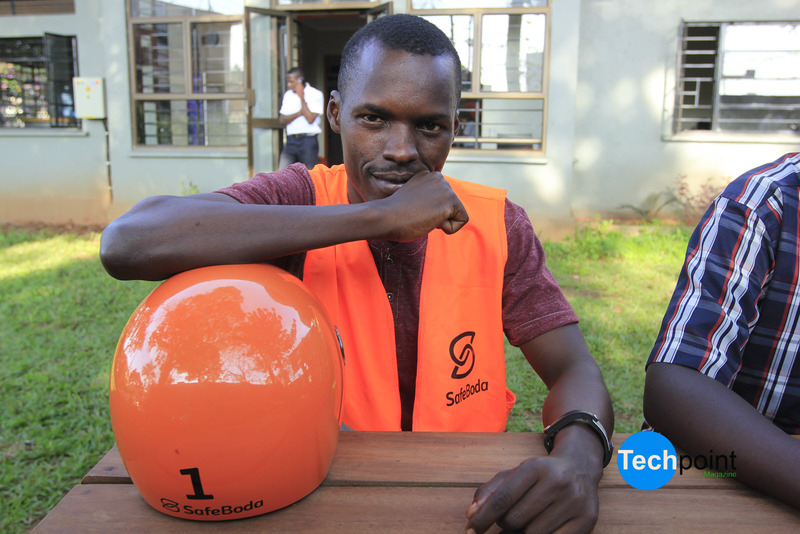 In 2015, I became the Driver Technology manager and was helping troubleshoot any problems riders had with using the SafeBoda platform. I later went on to join the driver engagement and support team which is about maintaining riders on the platform. But because the numbers have grown, we split up driver engagement and support and I am now leading the driver support team. I will miss being an active Bodaboda rider. I used to love meeting all those amazing people, but I have to specialize now and work on my personal goals. Although I will not be in the field, I will still continue to serve them indirectly. What has been your biggest challenges as a SafeBoda rider? SB01: My biggest challenge so far has been harassment from other riders who have not embraced the platform. Mostly the harassment has been verbal. For instance, when we stop at the traffic lights they hurl insults at you as they tell you to get out of their way. They see us as traitors because we offer low fares to customers. What have been your biggest achievements as a SafeBoda rider? 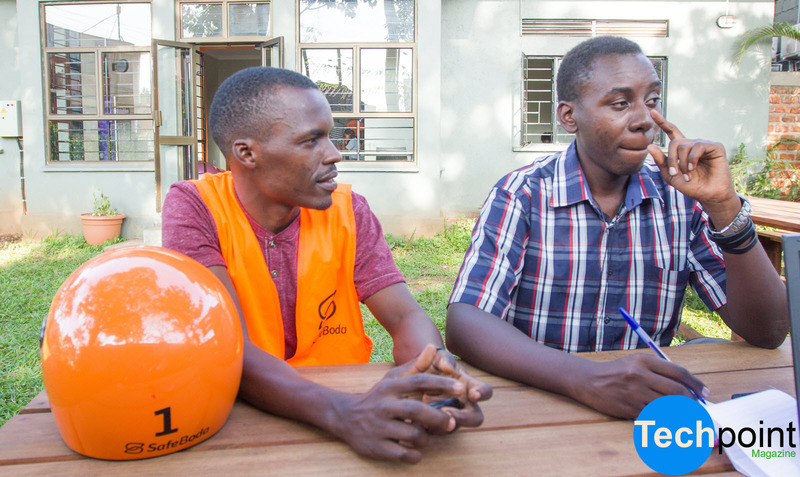 SB01: With SafeBoda, I have learnt to be more professional. For instance, I have be trained on how to handle customers better, received first aid training and also learnt how to interact with technology. Because of SafeBoda, I also no longer have to hide from my former school colleagues because I am no longer seen as a failure and this makes me proud. Finally, I have also managed to construct a fully furnished 3-bedroom house, and I am also paying school fees for my kids. SB01: I am planning to go back to school and complete university where I will pursue a Bachelor’s degree in data science or project planning and management. My dream is to become a renowned data analyst. My second goal is to re-establish my old business, which I will run parallel with my new position at SafeBoda. What is your advice to SafeBoda customers and what benefits can they gain by sticking to the service? SB01: Unlike other boda hailing firms you’ve seen in Kampala, Safeboda is a professional movement with the best drivers to take you all around for less. Additionally, Safeboda credit is a gamechanger that allows you to save more for less. Imagine a situation where you don’t have any cash, but you have a time-lapse meeting in a few hours? Safeboda credit would save you in that particular moment. My general advise to Safeboda riders lies in them enjoying more for less with the credit option and also the professional treat by drivers who are always willing to go an extra mile for the best trip satisfaction on a motorbike.